An excellent resource to boost confidence and encourage pupils to express their personal opinions. Should school have rules? Is our country great? 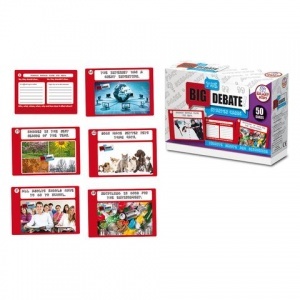 Discuss and debate these topics and other thought-provoking statements using these brilliant new double-sided starter cards. 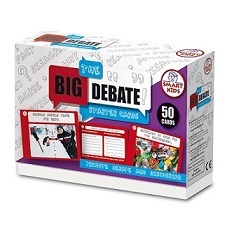 A statement and image is provided on one side of the card with space to write reasons/ideas for and against the it on the other, plus some related vocabulary. Promotes a range of speaking and listening skills.